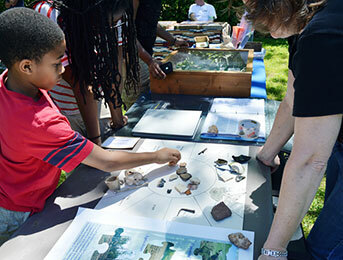 The Augusta Museum of History and the Augusta Archaeological Society present Archaeology Day at the 1797 Ezekiel Harris House. Spend the day on the Ezekiel Harris House grounds for free tours, talks and demonstrations. Join a team of archaeologists from The Augusta Archaeological Society as they identify and classify prehistoric and historic artifacts and collections, as well as demonstrate flint knapping and primitive weapons use. To stay updated on Archaeology Day 2018, please like us on Facebook. *In case of rain, Archaeology Day will be located at the Augusta Museum of History located at 560 Reynolds Street.